Offering state of art projects with exceptional architecture and hassle free environments is what Rise Group has been striving forward since its inception and rightly so. Rise developers have so far developed numerous cutting edge residential communities under their supervision. They always carries something fresh and rejuvenating when they launch new endeavors. This was the sole reason behind the massive success of Sky Bungalows and Clarks Residences in Faridabad. Later when they step foot in the soil of NH-24 Ghaziabad with green adobes Organic Homes and Organic Ghar, they uphold to their unique tradition. But it seems like they are in a hurry to develop more under its aegis. The inception of Organic Liftopia came because of this unending dedication and passion from Rise Developers. Perfectly placed in the NH-24 Ghaziabad, the project caters to the growing demand of green living in the community. At this home, inhabitants can feel the elegance of nature and enjoy the tranquility of living. Available in spacious 4BHK variants, Organic Liftopia has developed for a secured living with personal lift concept in every flat. Several amenities are incorporated in Organic Liftopia to script a beautiful living for its occupants. The list of roof top amenities include clubhouse, children’s pool, infinity roof pool, gymnasium, terrace garden, paved plaza, spa and much more. Liftopia homes will also be having some inspiring amenities in the compound like kids play area, flower bed, sand pit, maze, jogging track and water fountains to make it a dream home. 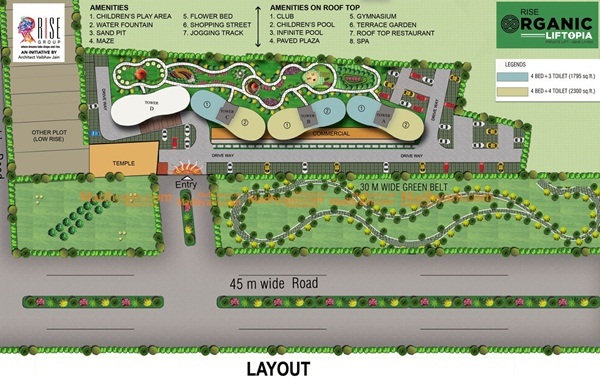 Ideally placed at NH-24, Ghaziabad, Rise Organic Liftopia shall be one of the desirable homes launched in the region. The new era habitat is effortlessly accessible from Delhi, Noida and Greater Noida. The project is strategically located in close proximity of Greater Noida West and all the locations of Ghaziabad. The all important NH-24 will play crucial for the interstate travels for commuters. The widening works of NH-24 will reduce the traffic jams and decongest the road link only for the better. An effective approach from Rise Developers shall reveal the concerns of Organic Liftopia towards the conservation of nature. 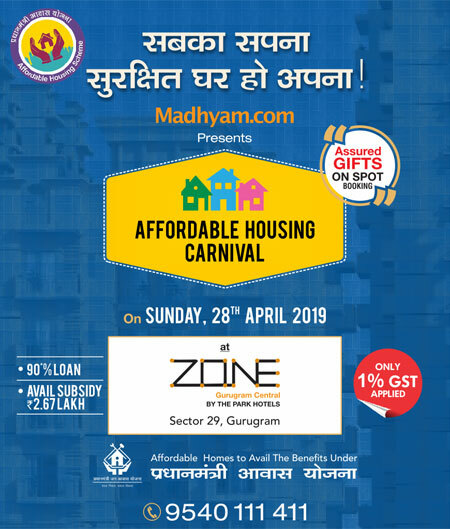 Finally, prices for these eco-friendly habitats have also been kept highly pleasing to make it easy for buyers to fulfill their dream living in Organic Liftopia Ghaziabad.